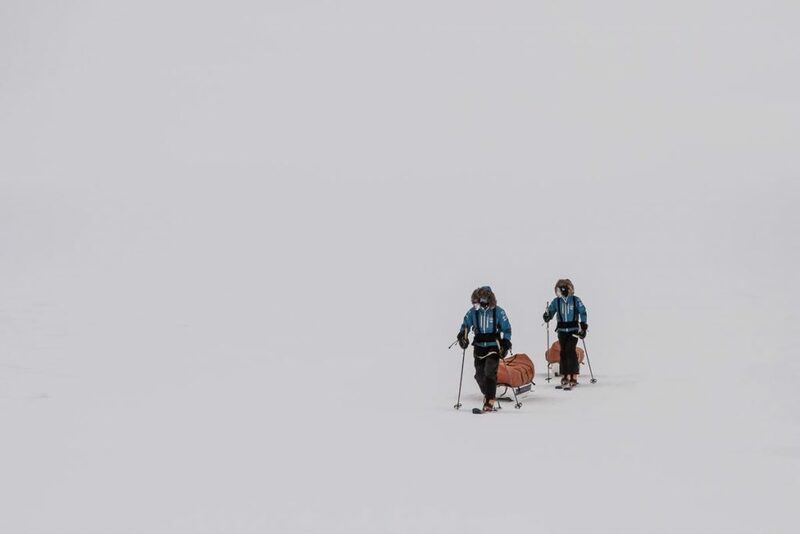 Whiteout Antarctica – Two of the skiers on the Willis Resilience expedition in head South through a whiteout towards the pole. When the cloud descends to ground level everything around you becomes white, it’s difficult keep any sense of direction, as there is no horizon to focus on, it’s not uncommon to loose your balance and start feeling sea sick. This one settled in for a few days giving the added danger of making crevasses much harder to spot.